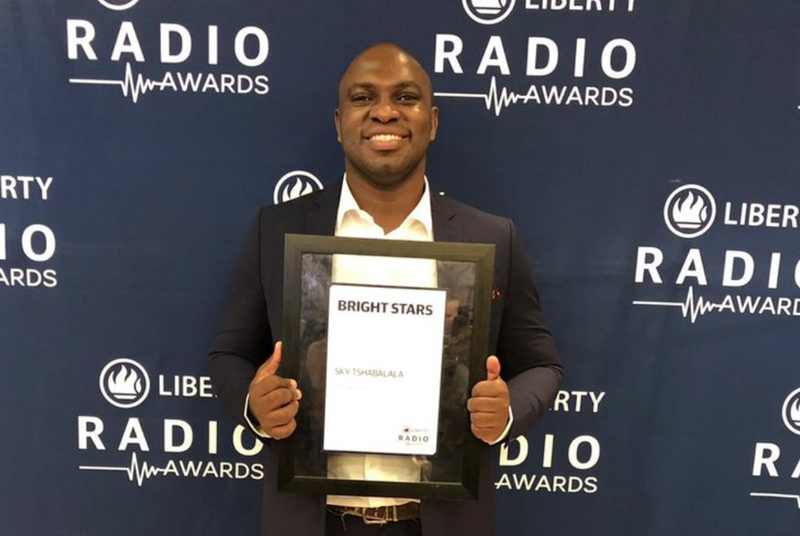 Apart from winning Best Breakfast Show in the country, Sky Tshabalala won the Bright Star Award at the Liberty Radio Awards this past weekend. Sky was overwhelmed yet humbled when he was called on stage to receive his award. We always knew Sky was a bright star, but this made us explode with excitement as he handsomely stood on stage. After receiving his award, Sky said: "This is the best day of my life." It most certainly was!